I wanted to show some pictures of the Collesi Brewery to go with my initial brewery beer reviews of Chiara and Triplo Malto, but I was having a difficult time finding anything of good quality that I could use. So I did what any really smart person would do and went directly to the source. 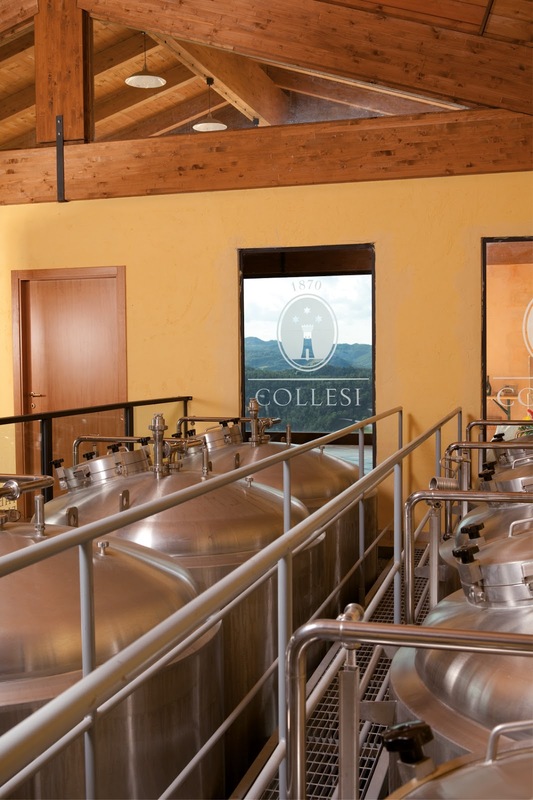 Not even one day passed between the time I sent brewery owner Giuseppe Collesi a request for some photographs and his reply with half a dozen in my inbox. Pretty cool, right? Anyway, I'm pretty sure you'll be able to pick out which are mine and those that should be attributed to the brewery. If not, ask. I also learned a few other things today. Remember that I mentioned the bottle cap was lined with a plastic coating I hadn't seen before? Well, the importer told mt that was designed to be a reusable seal for the bottle, to keep the beer carbonated for more than one sitting. My bottle is only a 500 mL bottle, but they also produce these in 750 mL bottles, where that might make sense. LOL. And I'll be damned! I pushed the bottle cap right back on the rim of the bottle and it snugly fit and was not blown off by the building gas. I was even able to pick the half-full bottle up solely by the replaced cap! Very ingenious! Those clever Italians with their Ferraris and such! Guys and gals, today I chose Collesi Ambrata, which translates to Amber. Ambrata sports the peachy salmon-colored neck and label scheme. As with the other bottles, there is a short story on the back to set your expectations. Sounds really nice. There is quite a bit of yeast sediment on the bottom of the bottle; I will try to avoid that until the end, though I've found with the other styles that, so far, it doesn't really add or detract from the experience at all. Soft ripe fruity aroma with plenty of pears and apples. The bouquet continues with some welcoming sweet honey. Your tasting experience also begins with lots of fruity pears, but though sweet, Ambrata is not quite as sweet as you might have been led to believe by your nose. Next up, some extremely distinct (original flavor) bubble gum flavors mix it up with the fruits. Now, the 7.5% alcohol steps up and helps tone down that initial sweetness and viscosity of the beer. A slight citric hoppy balance also works that same angle. Soft fruits continue to ride waves over your tongue and onto your palate. Complex. 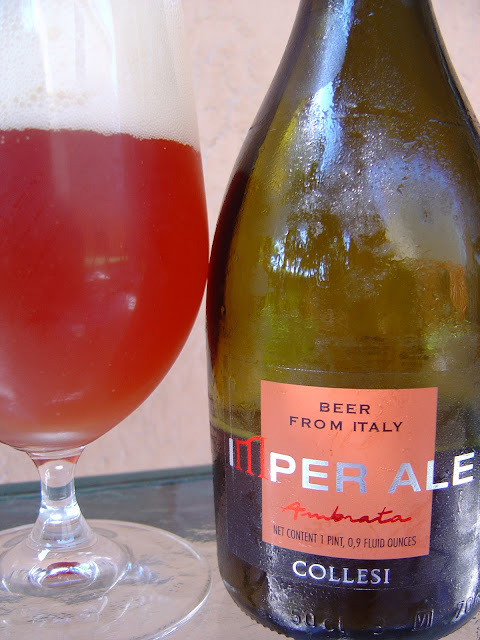 Creamy carbonation, nice texture, excellent flavors. I will say that I felt the beer was a little sugary and a tad too sweet, yet still hits the delicious category. And again, you will be happily aware that this is an adult beverage with its nice little kick! For sure try this one out. 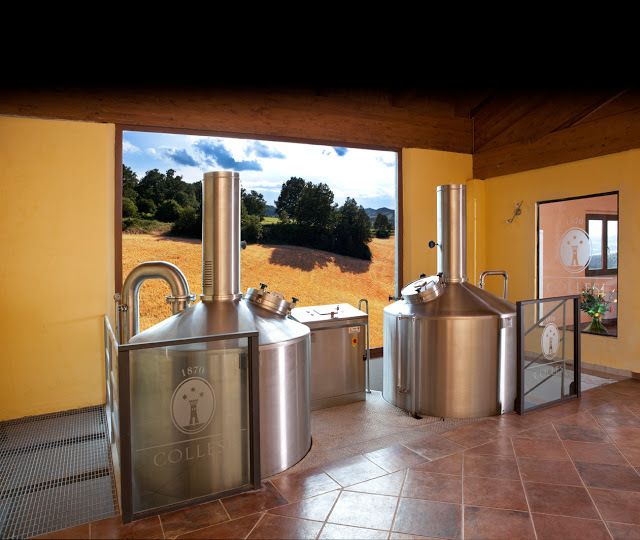 As I look at the pictures of the brewery, it makes me think about moving to Italy. Seriously! The snow-covered brewery with the Alps and endless scenery in the background. The awesome set-up and beautiful shine of their tanks. Honestly, I don't think my wife would follow me as she likes Miami and the big city, but that might not matter. God I hope I'm never tempted by something else to make resisting impossible!